Pick your favorite station, and jam out! It’s National Radio Day—and we’re excited to celebrate! Some of our best memories come from the first few times that we drove a car by ourselves with the windows down and the radio blasting. We remember the freedom we felt when no one told us that we couldn’t listen to our music that loudly. We remember the times where we’d turn the radio up and sing our favorite songs at the top of our lungs, not caring what other people thought. These kinds of memories are the good times we laugh about for years. From the time it was invented until now, the role of the radio has evolved in its place in American society. The radio used to be one of the primary sources for communication. It was where we got our news, heard the ball game or got caught up in a great story. We listened to great speeches, such as Martin Luther King Jr.’s “I Have a Dream” speech, were frightened by “War of the Worlds” and anxiously waited for new releases by our favorite bands. The radio has always had a place in American culture. Now, even though the traditional use of the radio as a source of entertainment has changed, radio will always have a beloved place in our hearts. As you go about your day today, turn of the iPod, put that CD away…find your favorite station and listen to some good, ol’ radio! As we celebrate National Radio Day today, we will reminisce about our first radio and the way radio has impacted life and culture in the United States and beyond. 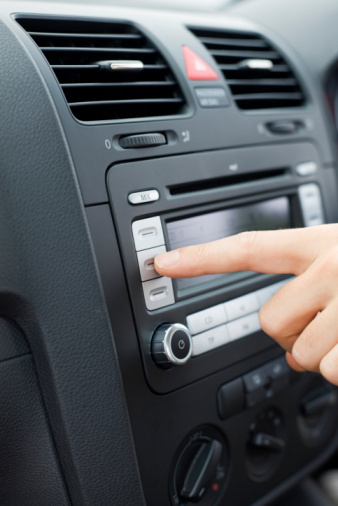 So, what are some of your favorite radio memories? Share them with us…and have a happy trip down memory lane from MVD Express!